Here are 17 tips I've come across during my basic running training research that can help you run your fastest 1.5-mile time. Give Yourself Time: Make sure that you train for at least 12 weeks before your test to give your body time to build up some aerobic fitness. Six months gives you a MUCH better fitness improvement. Maximize Your Running Economy: Learn to use as much "free" energy (otherwise known as elastic recoil energy) as possible by using an efficient foot strike (either fore- or mid-foot) and hip extension. Also try to minimize wasted energy by eliminating over-striding and braking (which allows you to run quietly). Maximize Your Aerobic Engine: For runs over 400 meters, most of your speed will come from your aerobic base, not your anaerobic speed reserve. To maximize the size of this base, slowly build up to running five days a week for at least 30 minutes each workout at a medium intensity (about 80% of your max heart rate). Rest: Don’t train for two to three days before your race. Know the Environment: Be prepared for warmer or colder temperatures, wet or dry conditions, and so on. Warm Up: Make sure that your aerobic energy system is primed and ready to go before you take your test by jogging at a very slow pace for about three minutes just before your test begins. Relax: Calm your mind. If you are mentally tense, your body will be tense, and that will waste precious energy during your run. Hydrate: Make sure you drink enough water before your run. If you will be running when it is hot, drink water that is as cold as you can tolerate. Take Salt: If you are prone to cramping during a run, take 1-2 grams of regular table salt just before your test starts. Know Your Run Time: Make sure you know what your 1.5-mile run time should be before you start your test. This information allows you to stay on the right pace during your PT test. Use a Heart Rate Monitor: You can better control your running pace and energy usage if you know what your heart rate is during your run. This will help keep you from running too fast too early. Watch Your Form: Make sure that your posture is straight, with your head and shoulders level and your eyes looking straight ahead. Watch Your Foot Strike: Remember to use an efficient foot strike (either fore- or mid-foot). Remember to Move Your Arms: Keep your arms bent at 90 degrees and synchronized with your running cadence. Start Comfortable, Finish Strong: Start out with a comfortable pace (90% max heart rate). Slowly increase your speed with each additional lap. 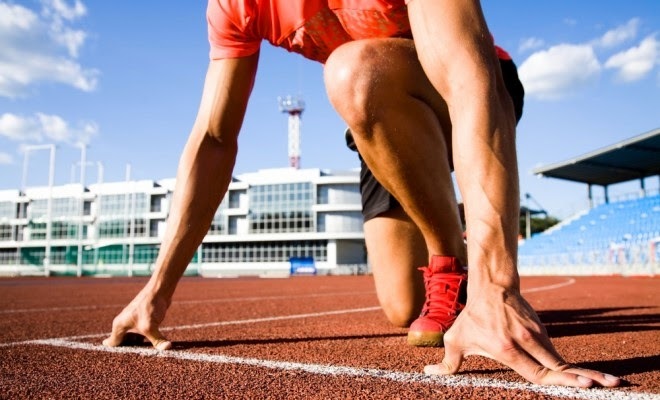 Your last lap should be the fastest you can sustain for 400 meters, with just enough energy left to near-sprint the last 100 meters. Listen to Music: If the brain is distracted, then you may be able to delay the onset of fatigue, allowing you to sustain faster paces over longer distances. Use a Pacer: Use your competitive nature to try and catch a slightly faster runner.